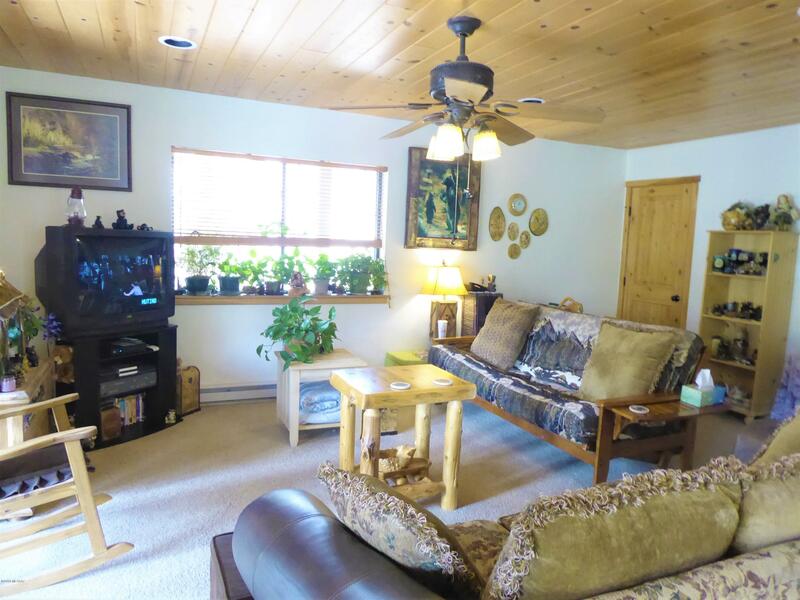 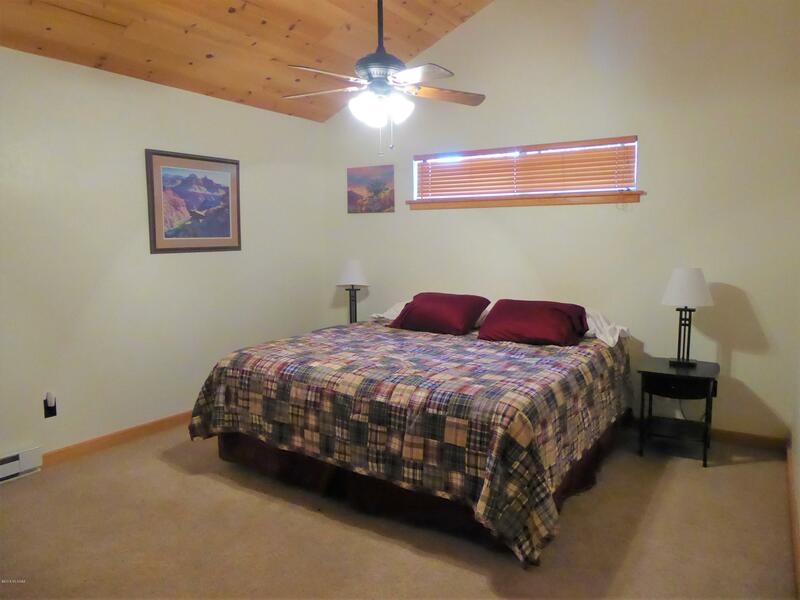 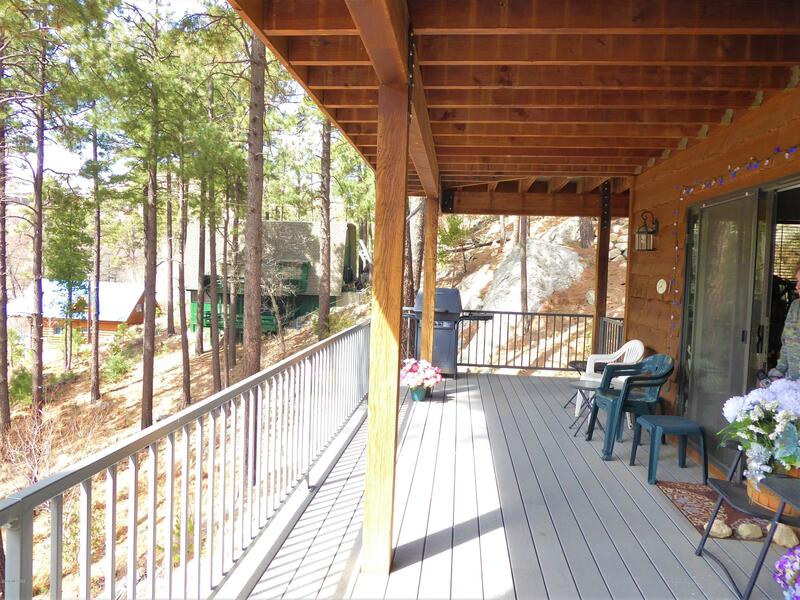 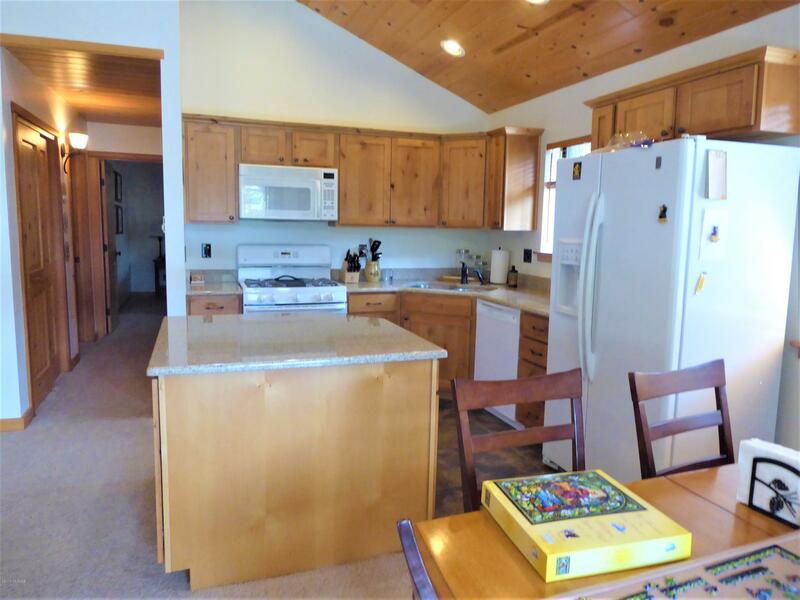 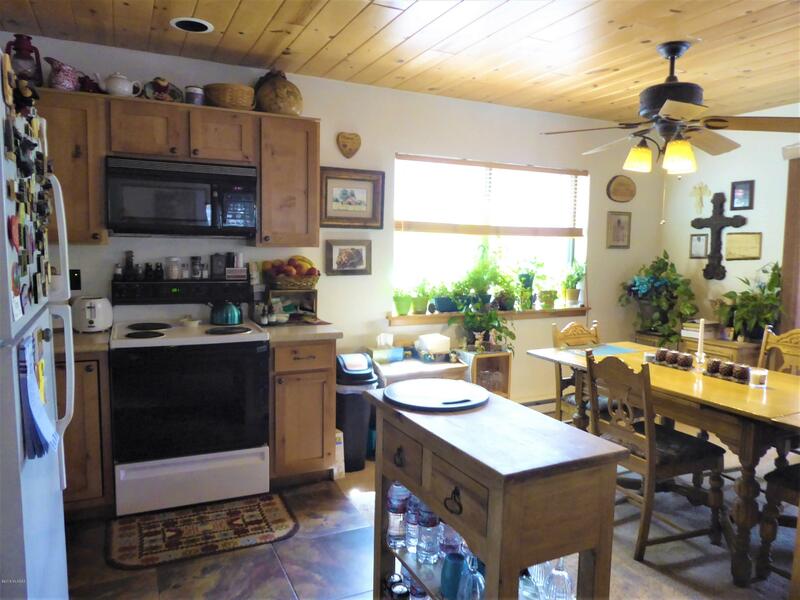 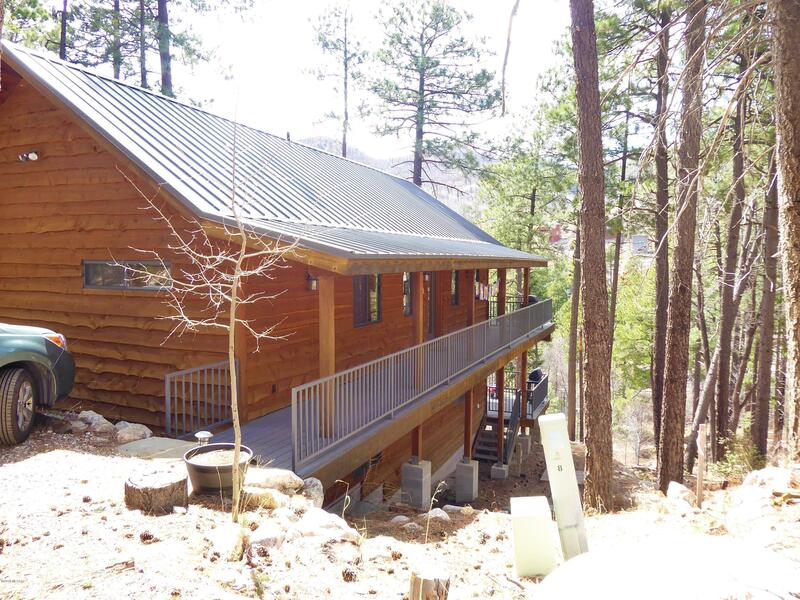 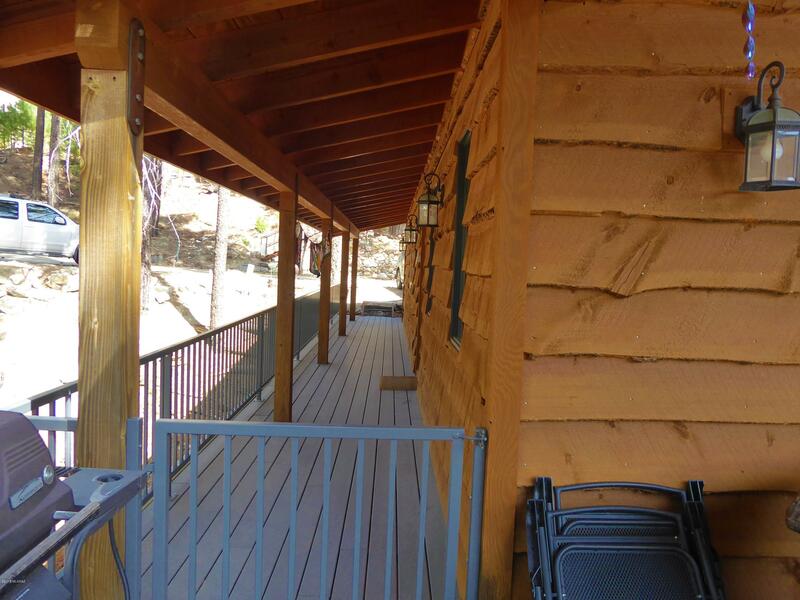 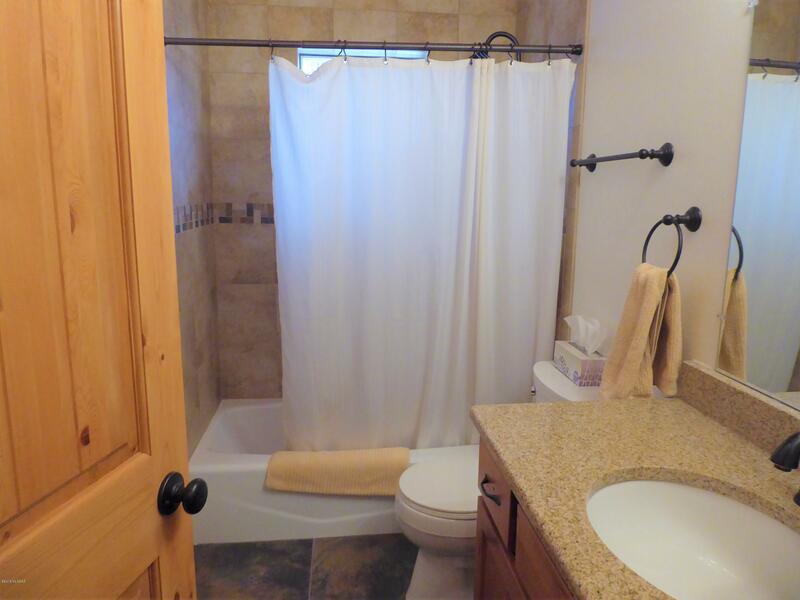 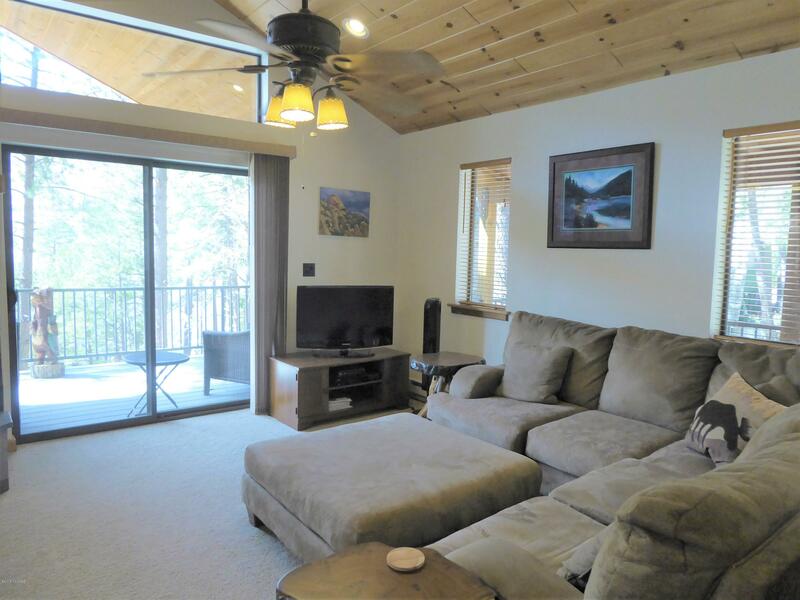 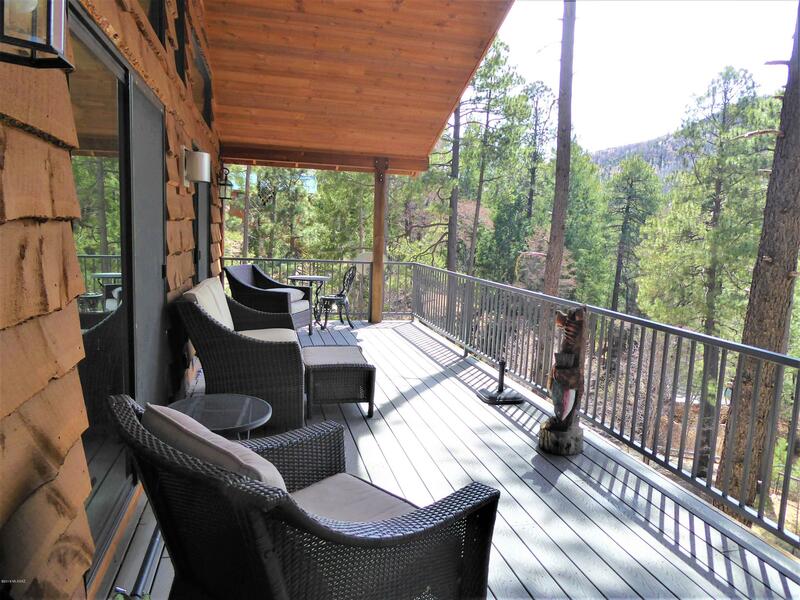 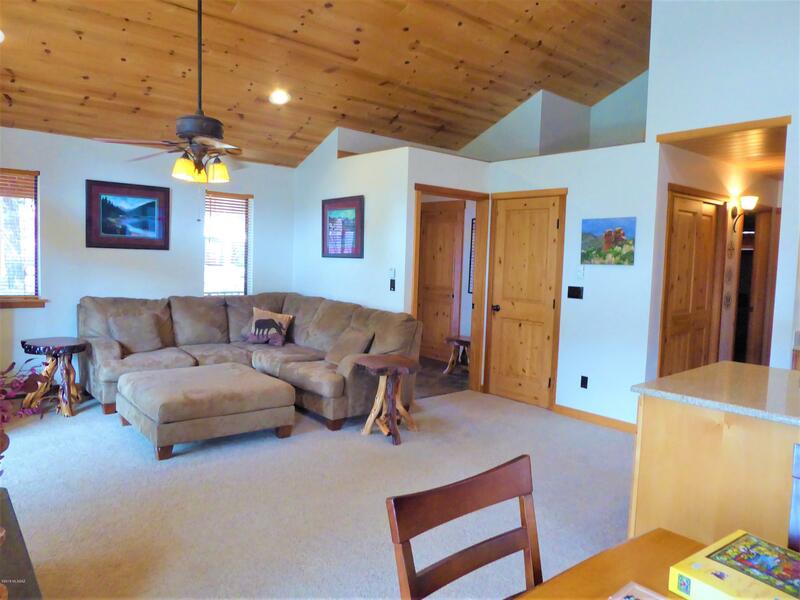 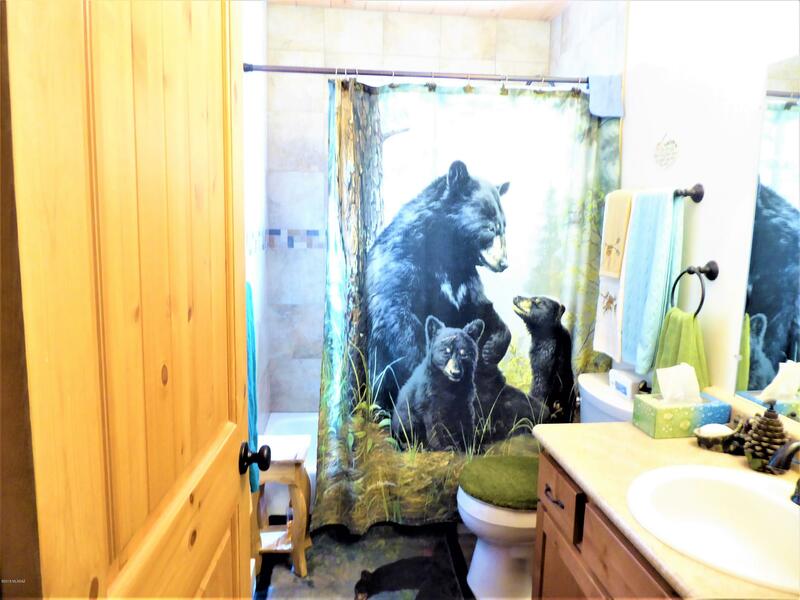 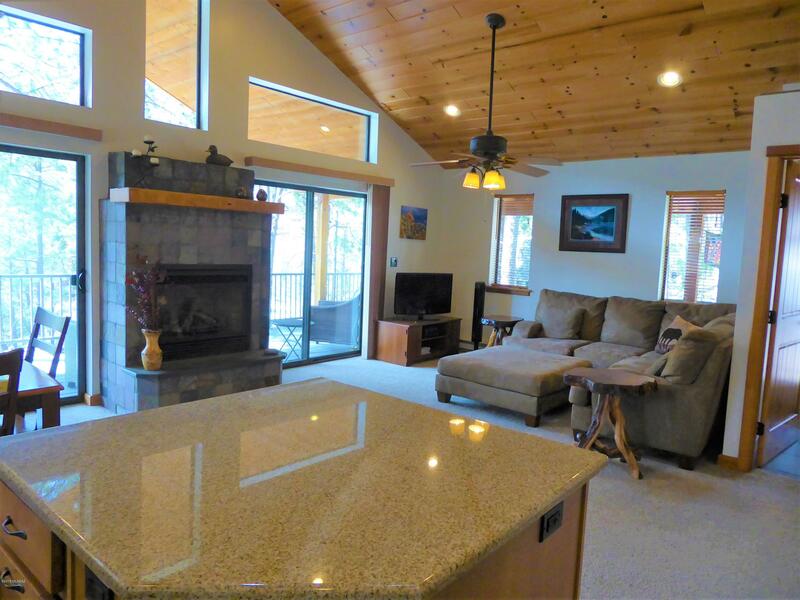 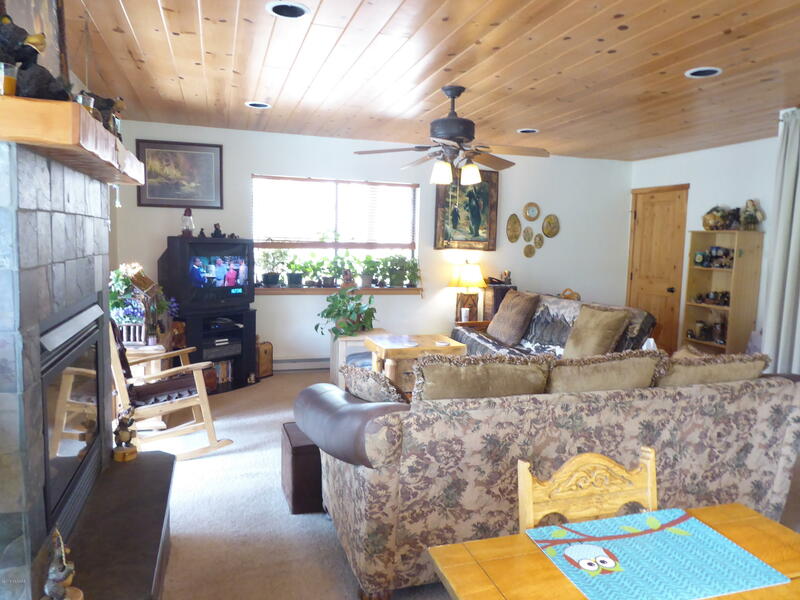 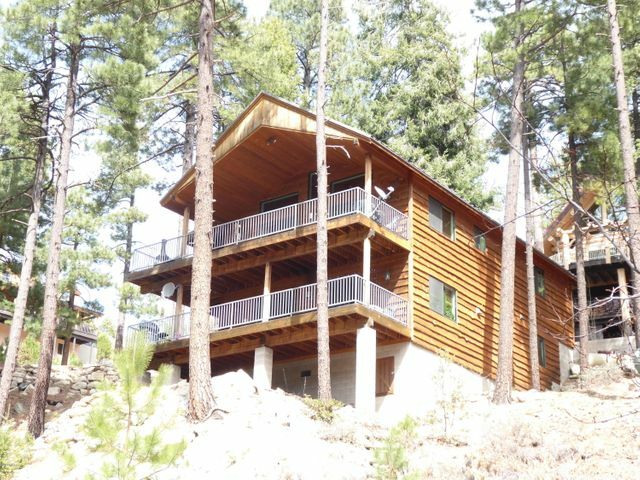 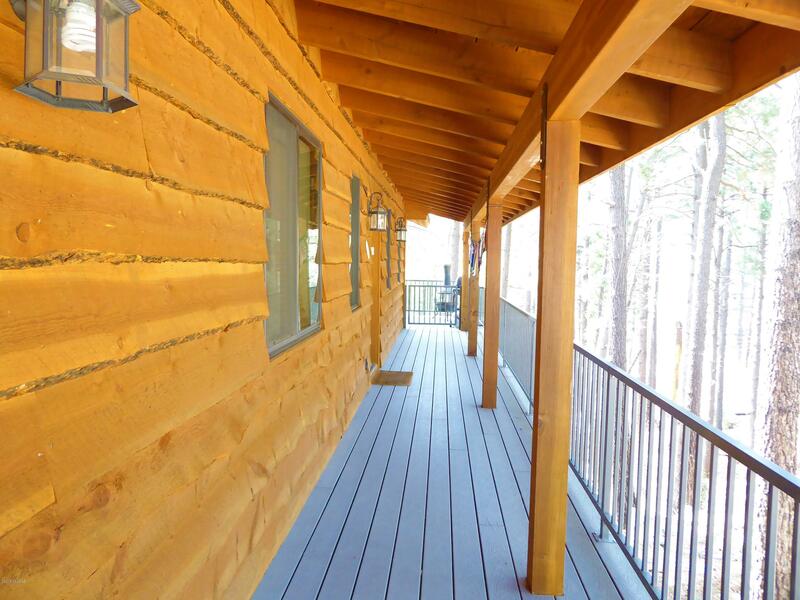 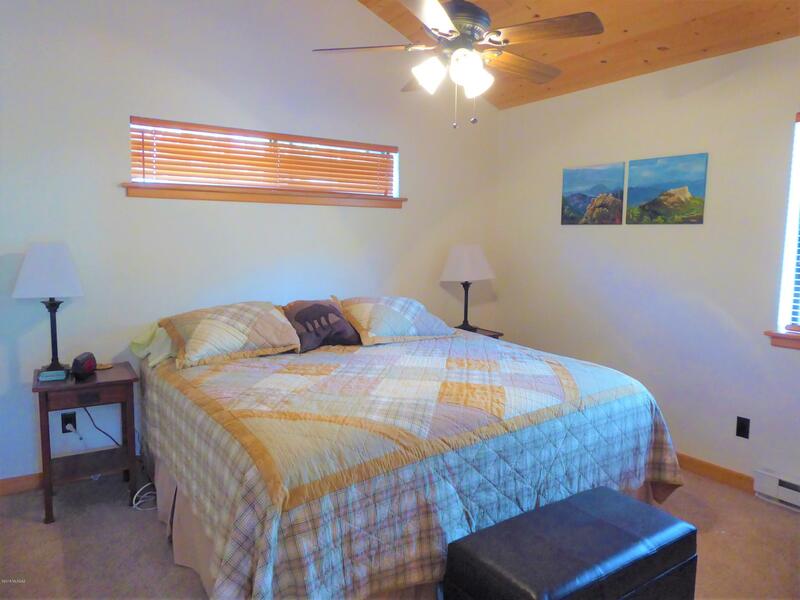 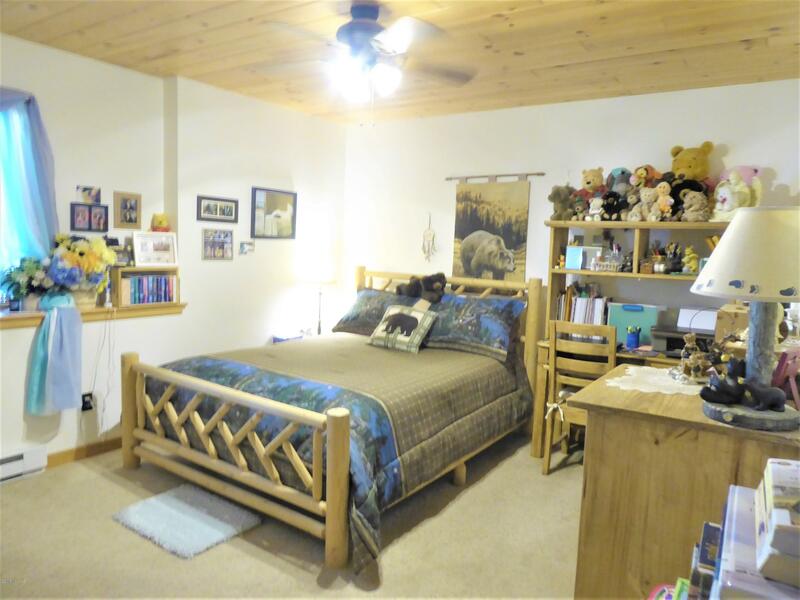 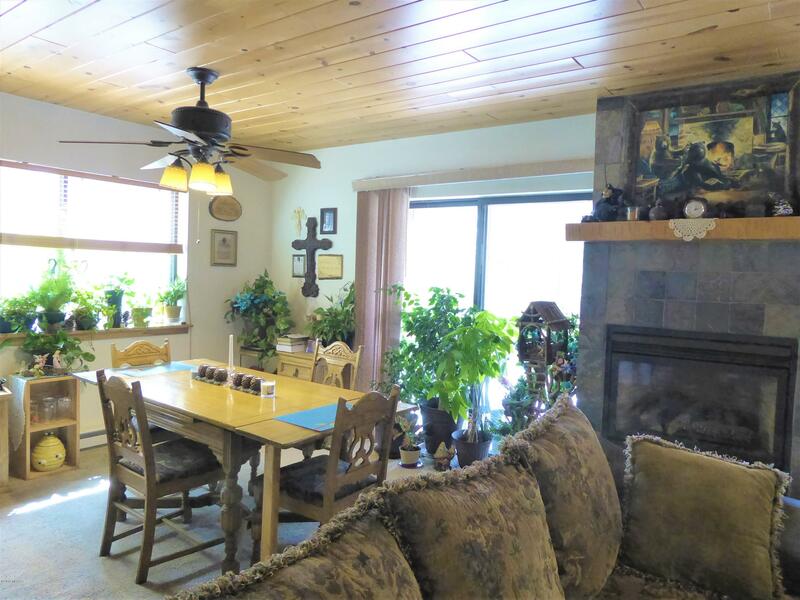 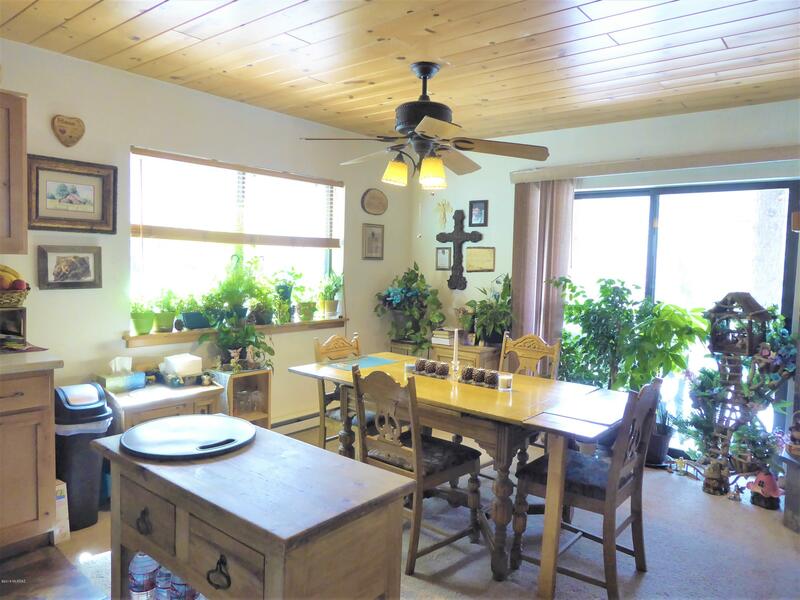 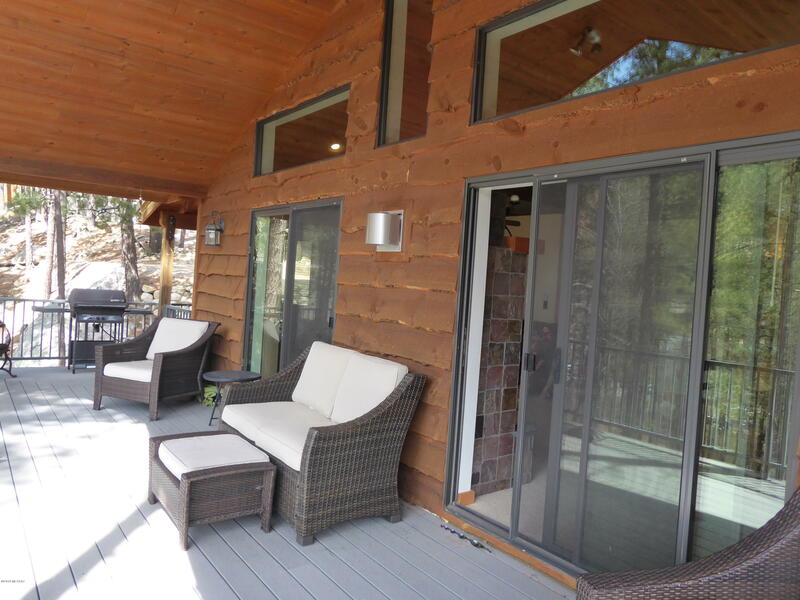 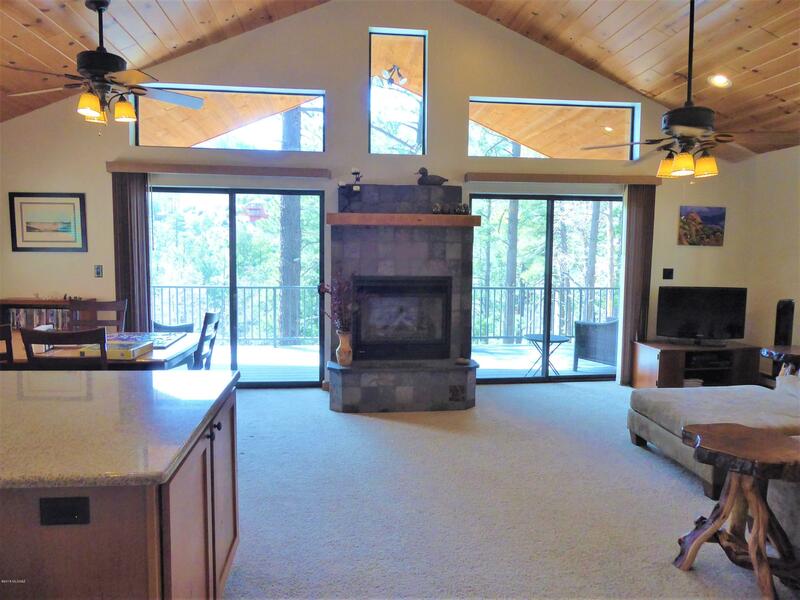 Beautiful 2 story cabin in the pines with year around access. 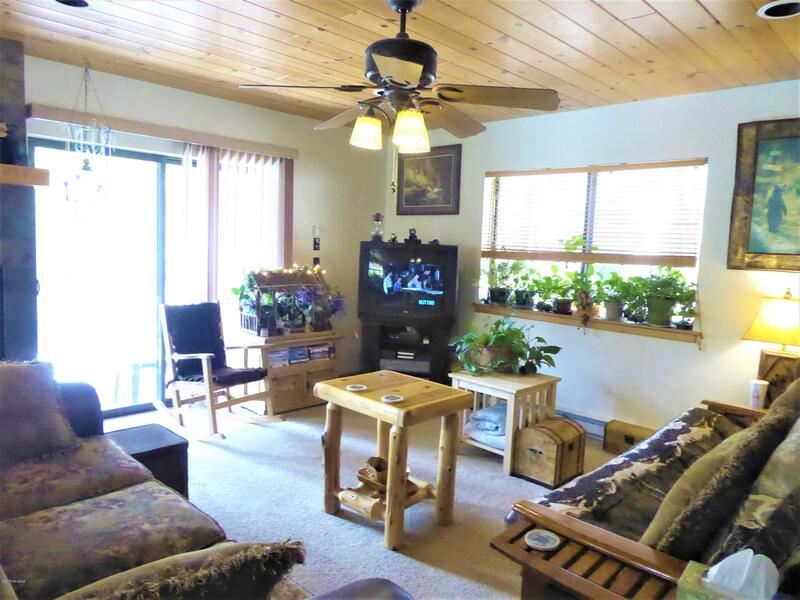 Has two living rooms with two bedrooms and a full bath on each floor. 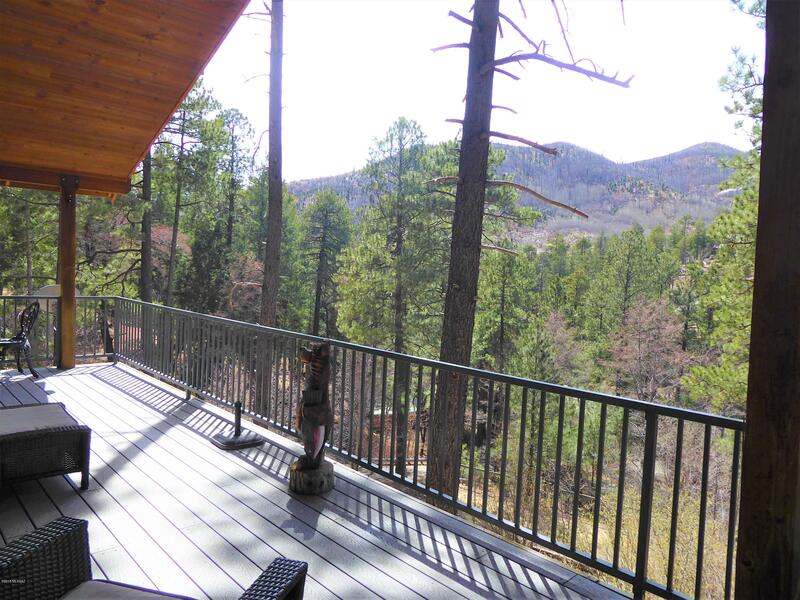 Large Trex deck that looks out in to the full grown pines. 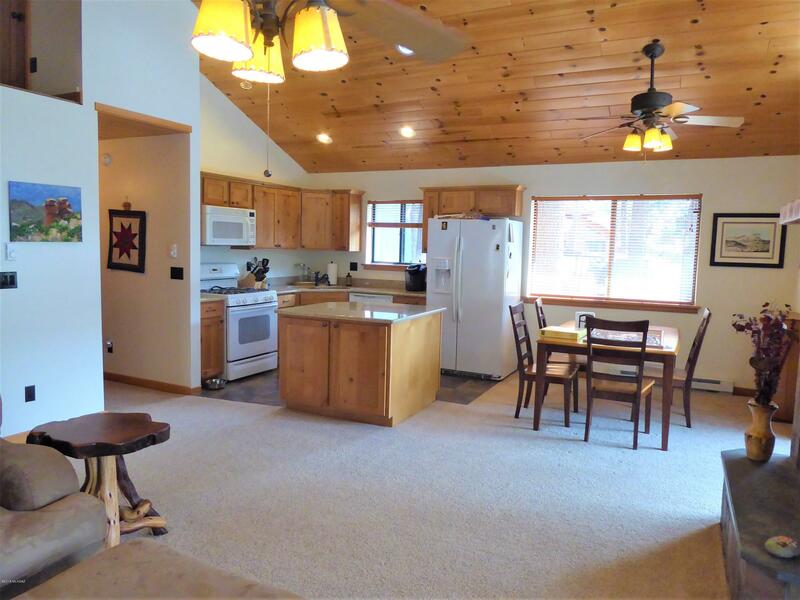 Open floor plan with a little dining area. 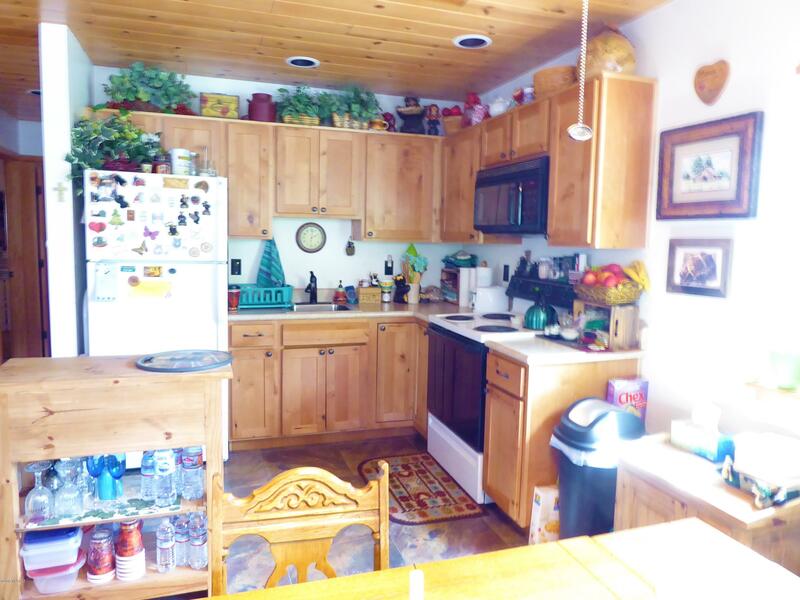 Nice open kitchen. 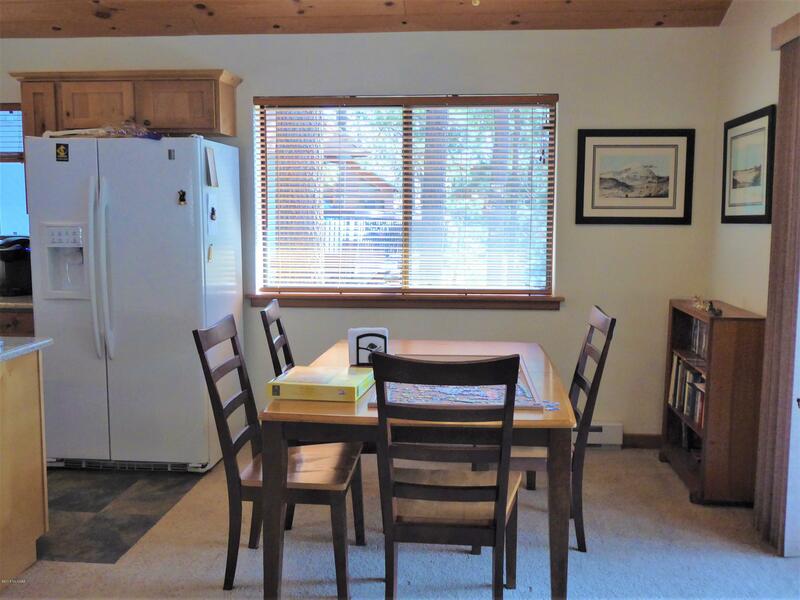 There is a full time renter down stairs which would help off set with the mortgage or is on a month to month rental agreement. 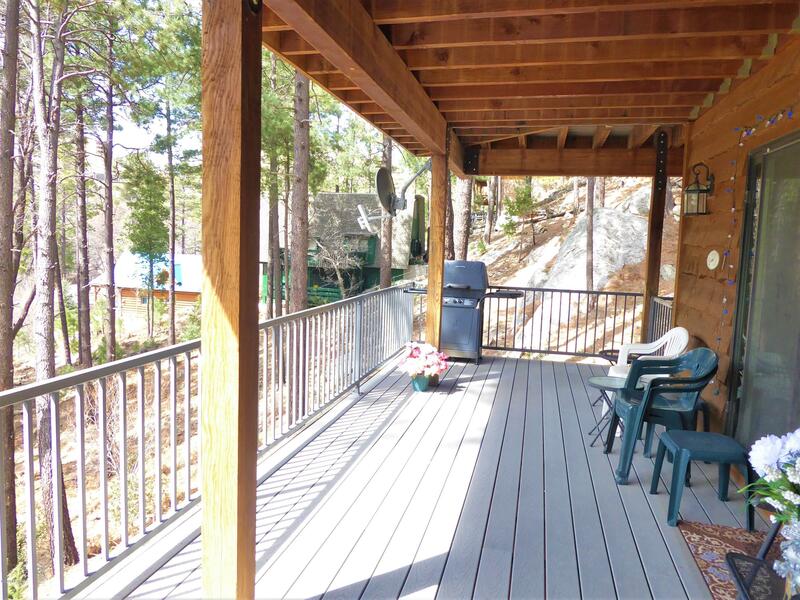 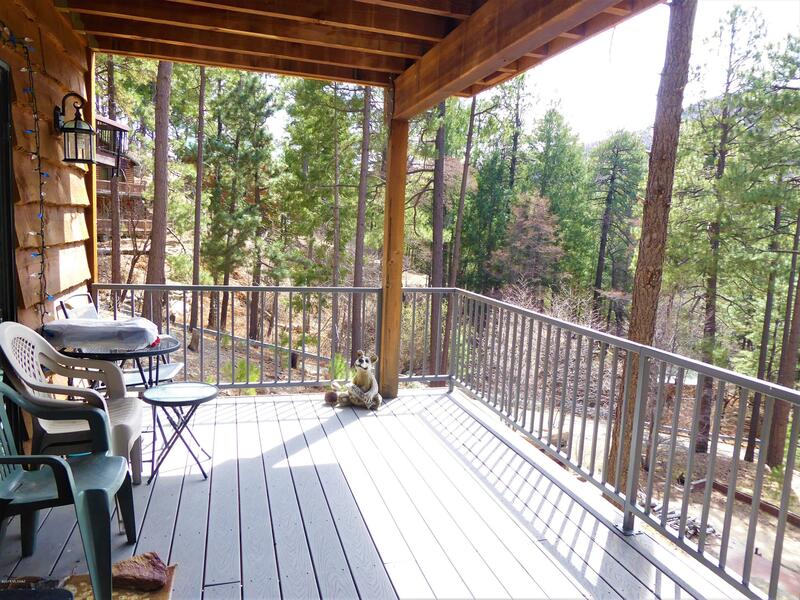 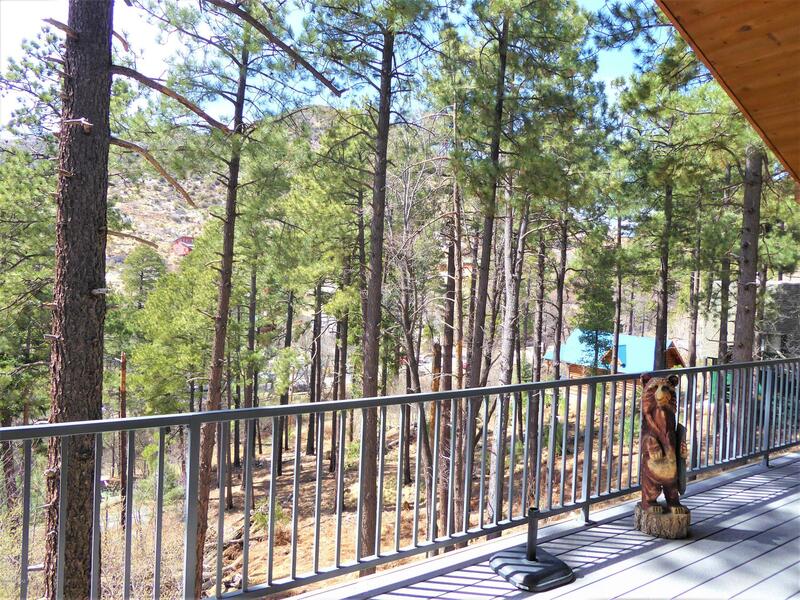 Flat parking area, three steps down to the great deck that looks out in to the pines and wild life. 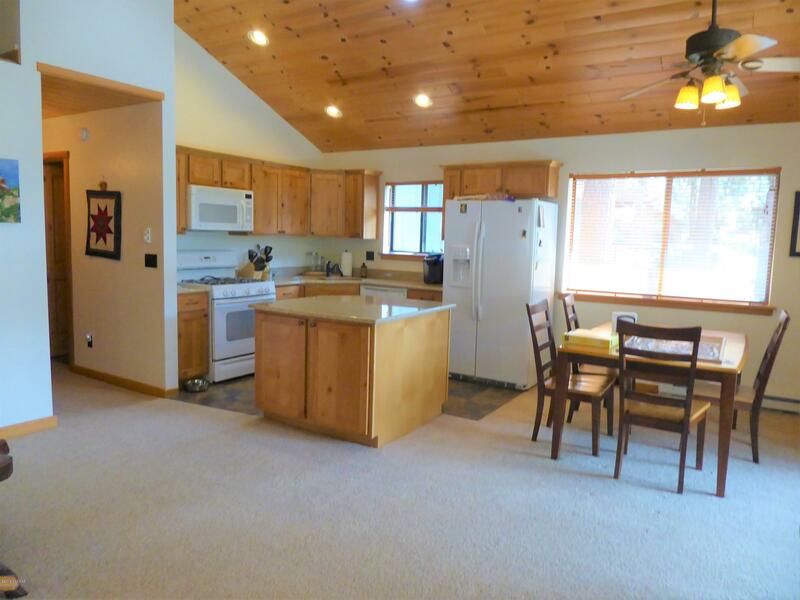 Plowed year around access with 4x4. 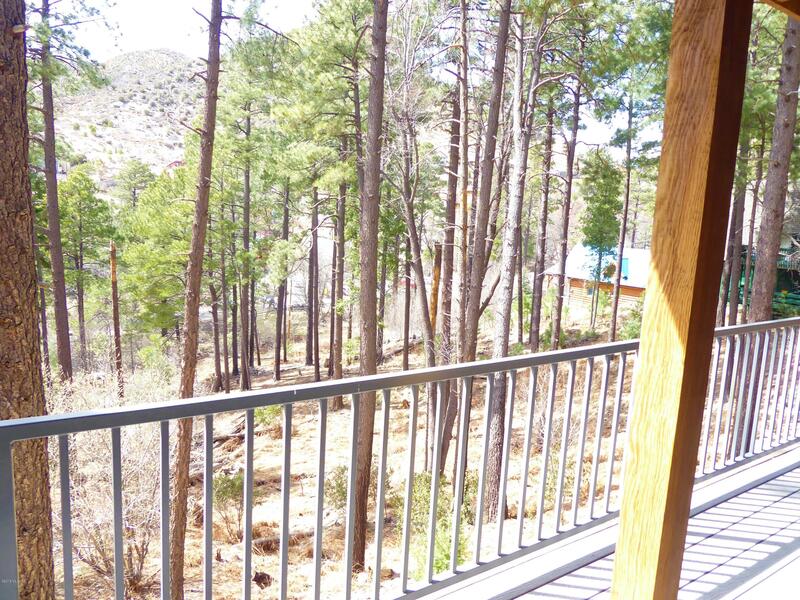 Easy walk to the village. 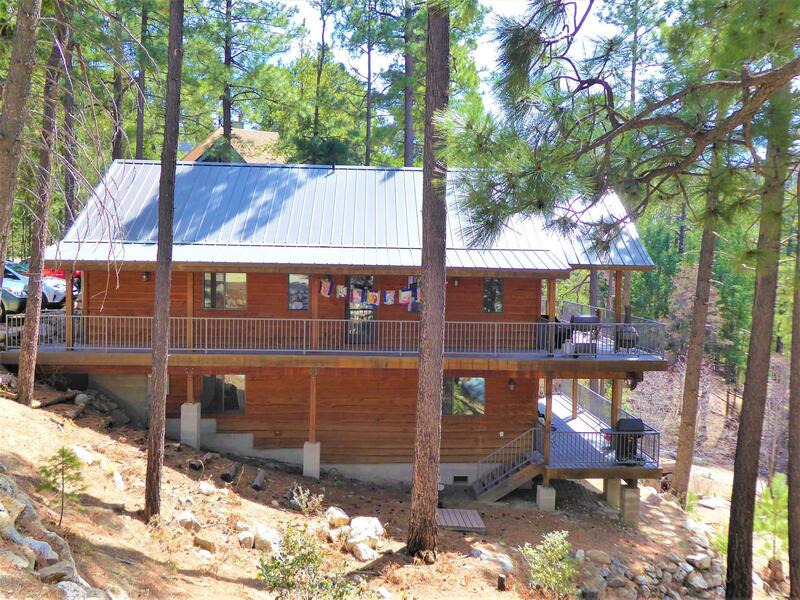 Directions: CAT HWY THROUGH THE VILLAGE TURN LEFT ON RETREAT AT THE TOP OF THE ROAD TURN LEFT ON TUCSON AVE, SECOND HOUSE ON THE LEFT. 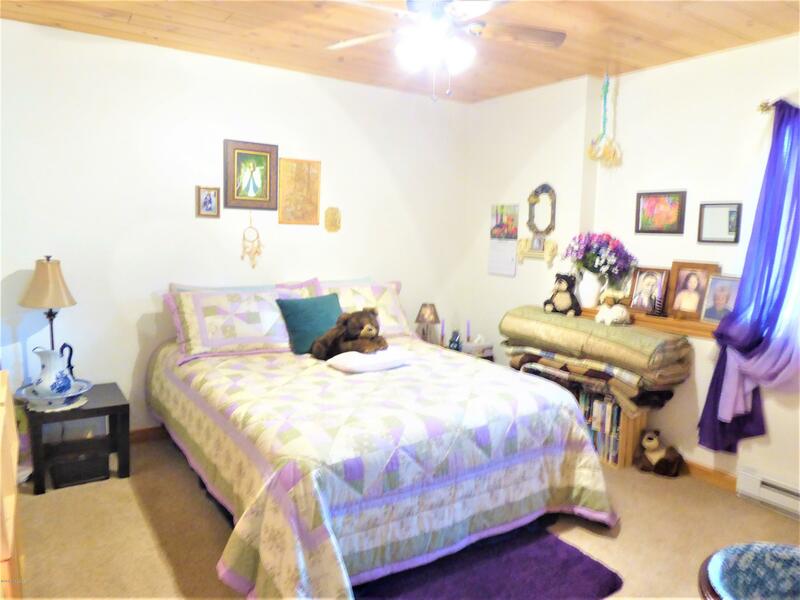 LOOK FOR SIGN.